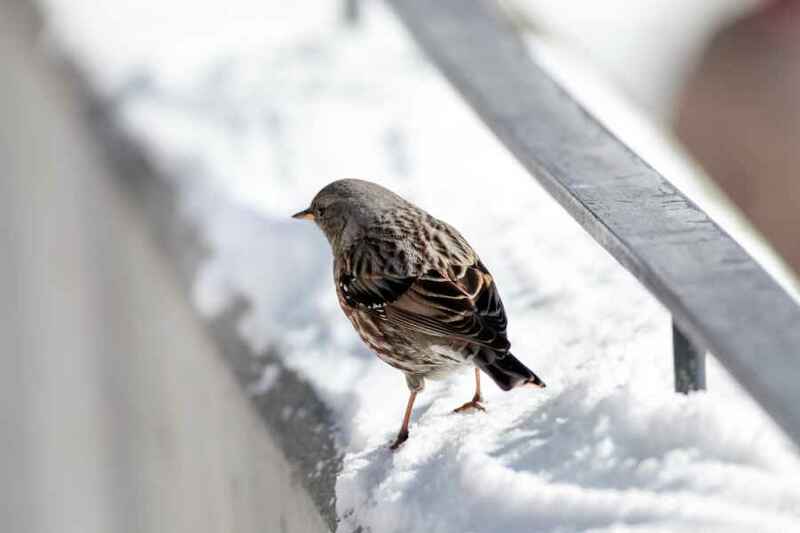 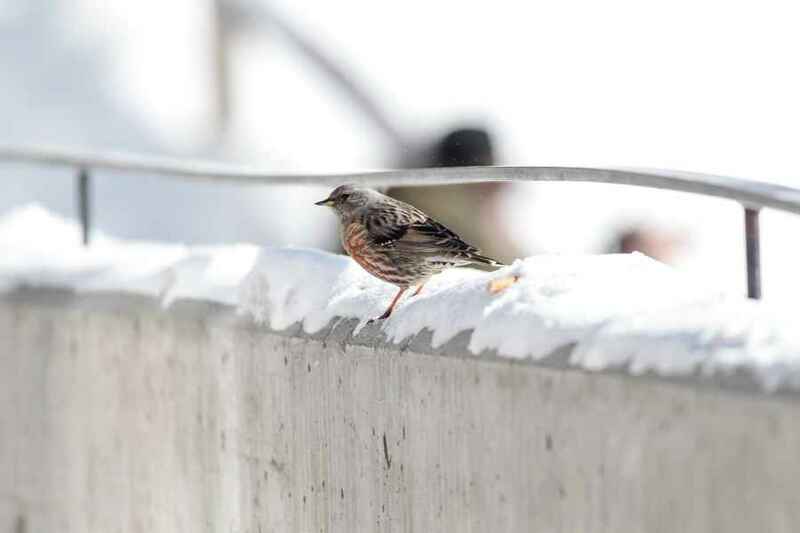 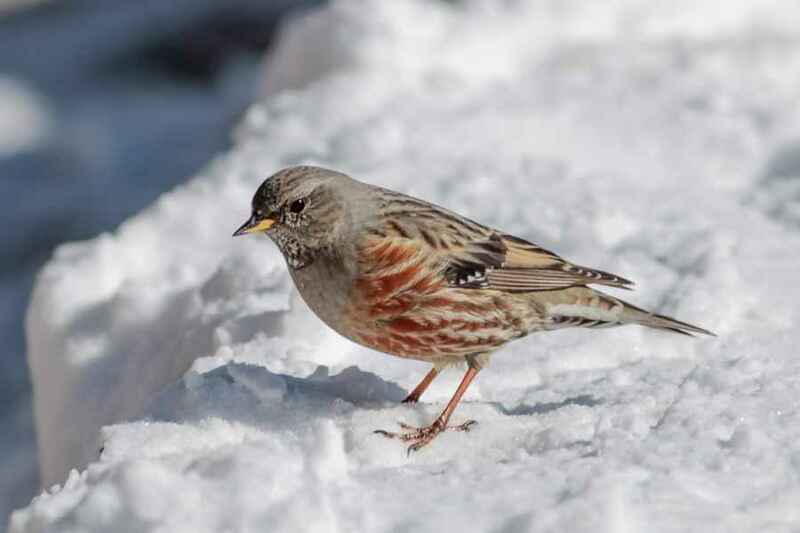 Very similar to and a close relative of the Dunnock, the Alpine Accentor prefers high, boulder-strewn alpine habitat with scattered low plants usually around 2000 mts high. 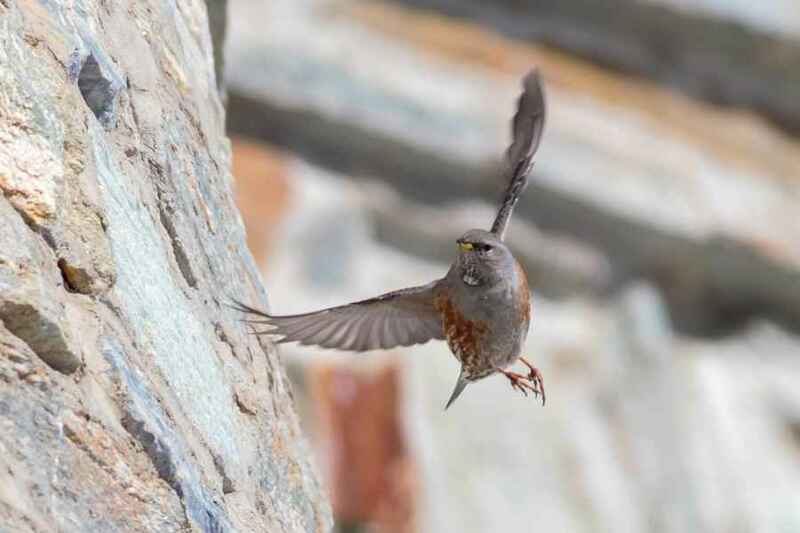 It is resident in the Serra da Estrela in Central Portugal, but principally only a winter visitor to the rest of the country, and I've found them several times on cliffs along the west coast. 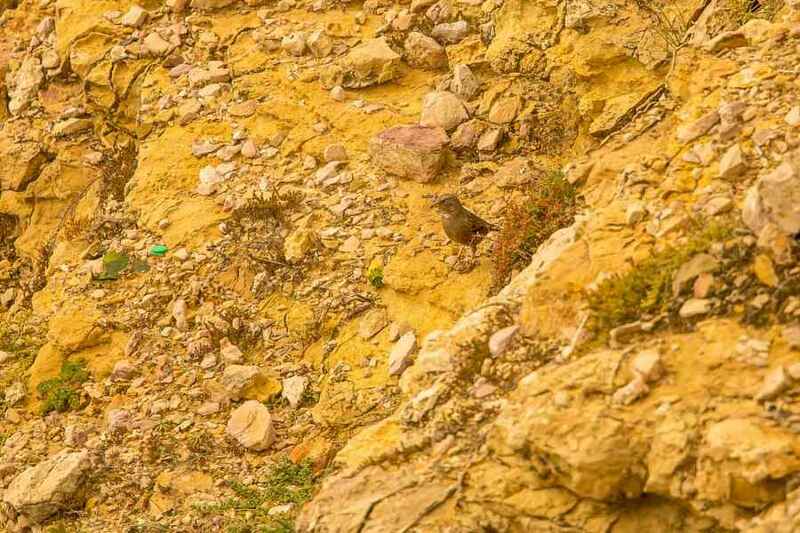 They are perhaps more common than is acknowledged as their camouflage in amongst the rocks on a scree-slope is impressive and they are difficult to spot.